I’ve been in China these past 2 weeks. My impressions of China during this brief stay have been extremely positive! While the culture is starkly different than America, the people we dealt with were very warm and helpful. One example was we were eating at a restaurant in the mall that we didn’t realize only took cash. We had already all tried to use the ATMs without any luck so then we tried to overpay with US dollars (which had worked in a taxi, but was not working here). A lady walking by with a baby overheard our conversation and she said she would trade RMBs (Chinese currency) with us for US dollars. How nice is that! A total stranger walking by completely saved us! One thing I’ve enjoyed the most over here is observing the differences from other places. The traffic rules and customs are crazy. A common sight was a scooter carrying an entire family driving into oncoming traffic on the same side of the road. They have all sorts of devices on their scooters to keep the rain off and their hands warm (think oven mitts on the handle bars). We even saw a lady reading a book on the back of a scooter, while her companion drove. The food was tough at times, but luckily I packed a bunch of snacks and camping meals.Communication was also difficult, but one of my favorite things to do is to communicate with people from other cultures and China was no different. There were a bunch of funny mix-ups and situations, like you absolutely 100% must wear a swim cap in the pool (even if you are just “running laps”), asking for the check sometimes brought sparkling water, and not all taxis will take you where you want to go. My partner Brooke and I are excited about how we are playing right now. During the off season, Brooke was rehabbing an injury to her shoulder and I actually had a calf strain which caused us to miss some really valuable pre-season training time. The first opportunity we had to train as a team this offseason was only a week before we played in Brazil. As such, we started out a bit ‘behind’ where we had hoped to be at this point. That said, we are starting to click and look forward to continuing to really improve and peak at the right time this the summer! So, some of you may be wondering how the teams are chosen for the Olympics. Basically, qualification for the Olympics is based on FIVB rankings. The FIVB is the governing body for international beach volleyball. Think of FIVB as being the equivalent of European Premier League soccer, it’s the best of the best. 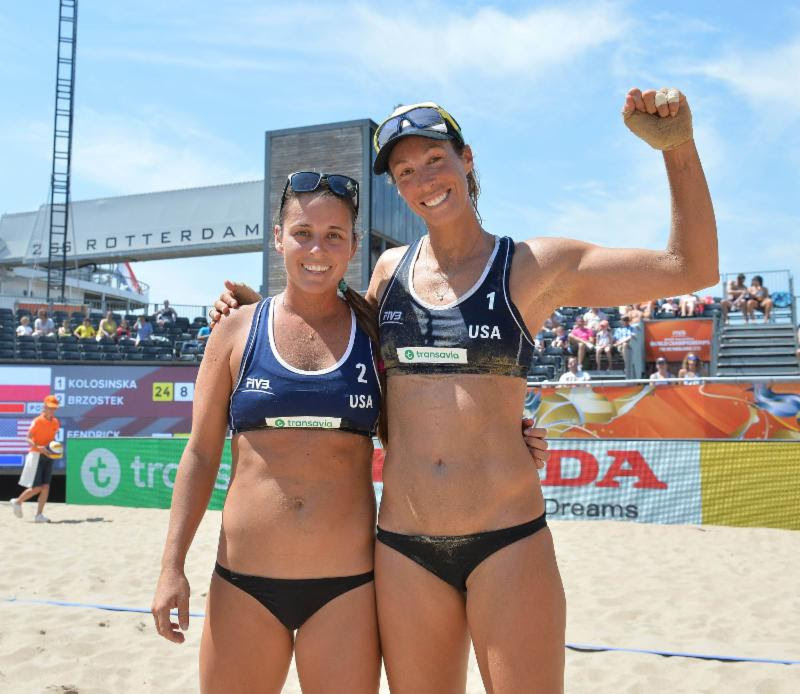 Though the AVP here in the States is super fun, and really competitive, the AVP events are generally just Americans and those events don’t count at all toward the Olympic Qualification. As such, for those of us trying to make the Olympics in 2016, we are competing on the FIVB World Tour. If you are in the top 17 teams in the FIVB provisional Olympic rankings, then you qualify for the Olympics. You need to finish 12 events, be in the top 17 AND only two teams from each country go! So, we are currently ranked 13th in the world and are the second ranked US team. We are fighting hard to both improve our Olympic ranking and stay ahead of a really good team behind us, Emily Day and Jen Kessy. They are playing great right now, but we plan on doing everything we can to remain in front of them as Rio approaches. I’d love for you to follow along with me and root us on from afar! My next US event will be in Cincinnati, Ohio May 17th through 21st! We also plan to do a LF Foundation clinic in Cincinnati. More info on that is coming in the next letter! 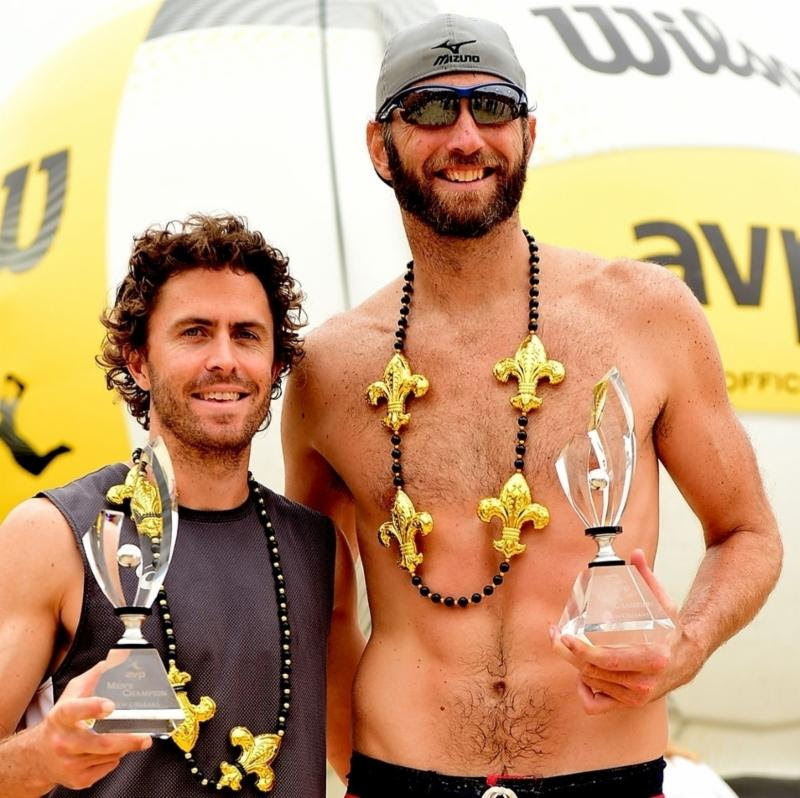 Hey, my good friend John Mayer won the first New Orleans AVP. John is such a great guy, and we couldn’t be happier for him. For those who came out to our first clinic in Idaho and met Caitlin Ledoux, she and her partner Irene Pollock finished tied with Janelle Allen for 5th. It was a great start for Caitlin and Irene. I’m excited for them too! Billy Allen and his wife Janelle Allen both finished 5th, which is amazing since they have perhaps the cutest 3 month old traveling with them as their “third wheel” on tour! If you don’t believe me, check this out! 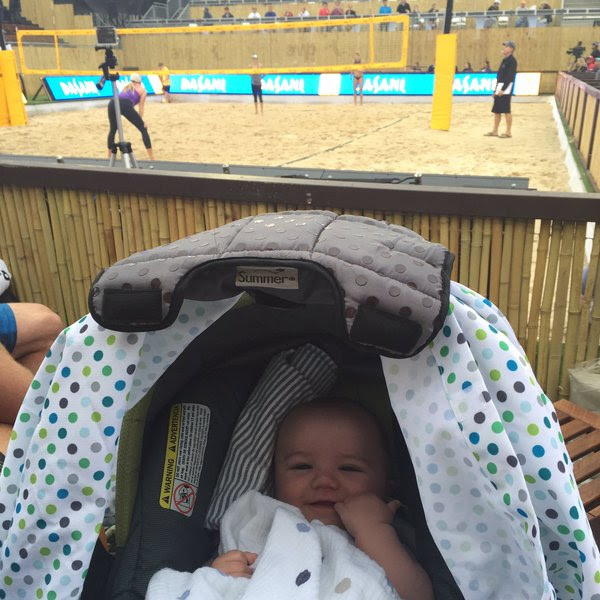 I can’t imagine playing a tournament with such a small baby, they both are studs! That’s all for now. If you want to learn more about my Foundation, click on the LF Foundation button. You can even buy a T-shirt or hat through the “shop” tab on the Foundation website. All sale proceeds go to support the LF Foundation.